[Keep the Original Beauty of Your iPhone Xs Max]: Mimics the smooth glass back of the iPhone Xs Max while offering great grip. 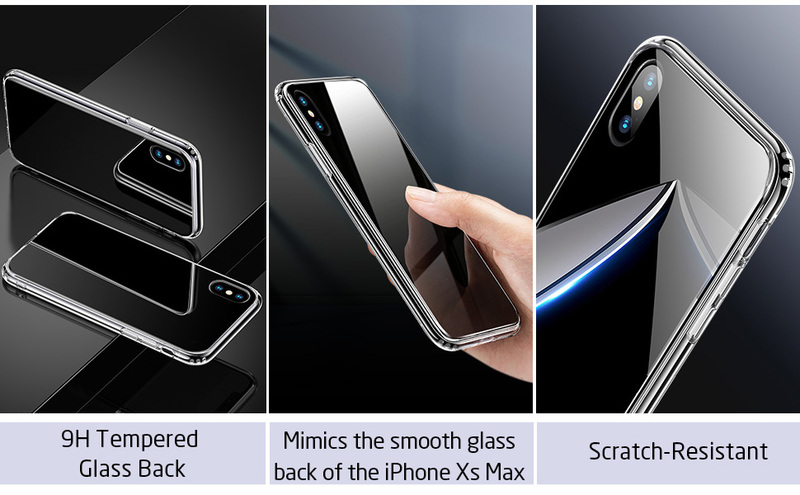 [Special Four-Corner Design]: This design makes the iPhone Xs Max glass case non-slippery on flat surfaces. 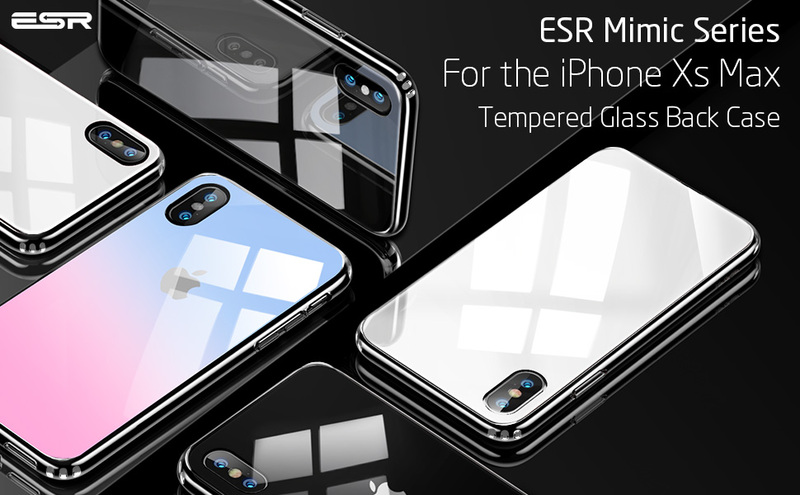 Q1: Is it the tempered glass back case? A: Yes, it’s made of 9H Tempered Glass Back + Soft TPU Frame to protect your iPhone Xs Max all around. Q2: Is it smooth on the glass back? A: Yes, it mimics the smooth glass back of iPhone Xs Max and offer you excellent grip. Q3: Does it scratch easily? A: No, the 9H-hard tempered glass back won’t get scratched by everyday use. Q4: Does it shock resistant? A: Yes, the soft edges absorb shock and the glass back is protected. Q5: Is there a raised lip around the camera lens and around the front of the phone when placed on a flat surface? A: When placed on a flat surface the case protects the screen and camera. Q6: Does this work with wireless charging or will I have to remove the case? A: This case absolutely supports wireless charging with no need to remove the case. it felt amazing and looked soooo beautiful on my phone. but the glass back shattered after 1 day when i dropped my phone. also impossible to remove from the phone. when i finally prised it off, the glass back shattered even more. dont use if you intend to take it off soon as i guess it’s impossible to remove without breaking the cover. i had to return this item which was a shame. Nice simple case which protects the phone without detracting from it’s appearance. Pro: Aufbringen der Scheibe hervorragend gel?st. TopContra: Dust Removal Sticker hinterlie?en Klebereste auf dem Display, die ziemlich hartn?ckig waren. Works well, happy with product. This is the nicest and most inexpensive case I have had for my phones. It looks really nice on the phone and is really hard to tell there is even a case on there. It feels sturdy in my hands when using the phone and lets the phone lay flat on a table (unlike without a case and the camera bumps it up in the corner). I would highly recommend this case if you want to protect your phone but keep the original look of your phone to the greatest extent possible.